Why Buy your Colloidal Products Wholesale Direct? Custom produced to your exacting needs! Great Prices - We are here to make your Nano Colloidal therapy inexpensive and affordable! Buying just one 8 oz. bottle for $49 from places like M__Silver and ingesting it within the first week or so is expensive. A slow and steady uptake over weeks and several months when using our larger volume product is the best course to follow if you are serious in starting or maintaining an ongoing colloidal therapy regimen. Ultra Powerful - Bio efficient Nanoscopic Colloidal Supplements. Our products are made through a high voltage electrolysis process, using Pure Steam Distilled Water. We never use Saline's, chemical binder's or Deionized or RO water. Proven powerful Immune and whole body support, we don't have to prove anything to anyone, we've been here helping folks like you since 1994! Naturally produced in the USA by people who know what they are doing. Never tested on Animals, but sure has been used to support animal health. Slow filtered post batch, effective in keeping our products naturally pure and pH balanced, so they are really easy on the tummy. Not warehoused for months and years like M___Silver is, we make batches fresh, just about weekly, so your bottle will be pure and pristine. We ship anywhere for the actual cost of shipping, we also have zero handling or box costs added in. True Wholesale Direct to you, no dealer, no middleman! "For once there is a colloidal product that says what does and really delivers. Your products really work for my clients. The results are like Nutritional Supplements on steroids!" From Pure & Pristine elements to the zero ppm structured waters we use, your safety is our number one goal! HydroMinerals™ are products that are a new and approved type of advanced colloidal product. You might be asking yourself what really makes this new product stand out from other leading colloidal mineral supplements on the market; the answer is simple, through 20 plus years of work in this field, we know what we are doing! You might be surprised to learn that most of our current competitors actually learned how to produce their colloidal products by recreating our methods we freely teach in our published colloidal production books, guides and manuals. Our Colloidal Engineers have been researching and continually studying to discover new safer colloidal production methods since 1994.Along with common sense discoveries, our Colloidal Science team has published several new and updated Colloidal Production Manuals, Books and Guides in an attempt to assist other colloidal producers on how to accurately & safely recreate pure and pristine methods in the field. If you have ever heard of the TSM (total submersion method) or the PAM (Plasma Arc Method or the later PUAM (Plasma Underwater Arc Method) you are actually seeing our work and discoveries in action. We were one of the very first 'open colloidal producers' who taught that chemical binders and additives (especially sodium chlorides or salt saline's) should never be added to a naturally producing colloidal batch. Luckily for you, our new line of HydroMinerals™ are made by the latest (and most pristine) colloidal production technologies. We pride ourselves in taking the extra steps required to help make our products pure, safe and pristine, all without adding chemicals or heavy metals. In our lab testing, our Hydro Colloidal Minerals were shown to have been hundreds of times more effective than a similar colloidal product we tested on regular in vitro testing. Our Hydro Colloidal products killed virus & pathogens in petri dishes much sooner than it took other competitors products to work. This product is rated at 10 ppm u/s colloidal bonded colloidal strength. 30 ppm u/S strength is possible using our PUAM ARC methods. Special run, higher potencies can be ordered for an additional cost, just ask. our 10 ppm u/S HydroSilver, HydroCopper, HydroZinc, HydroPlatinum, HydroMagnesium are all crystal clear in color while HydroGold is a beautiful light pink. Yes, purely designed with all natural ingredients in an eco-friendly process. All Colloidal Minerals are pure elementals of .9999 or better. Most of our competitors products only use .999 purity, leaving .0001 percent of junk metallic by products in their products. Complete Certificate of Assay on display. This product contains energized Nanoscopic particles that have their own electrical charge and magnetic properties. The estimated Nano particulate size based upon outside TEM scans are in the 3 to about 10 nm avg range, with many of the tiny particles falling well below those levels of size distribution. Warning: I worry when a colloidal producer states that their particular product meets an exact particle size, such as .65 nm. All colloidal batch outcomes slightly vary from batch to batch, from day to day, this is simple Physics and Mother Nature! Products that state such 'perfect ratios' must be using a chemical binder or simply have no idea what they are talking about, because producing natural based colloidal minerals can only be accomplished when allowing Mother Nature to do her thing. We only allow our batches to progress through the entire brewing process naturally, without any chemical interference. This product comes safety packaged in a UV protected, lab grade hdpe bottle which has been lab tested and approved to meet or exceed glass packaging for substance leakage and chemical leaching. Sizes available are 1/2 gal, 1 gal, 2.5 gal jugs. We use #1 grade HDPE non PB bottles that are safe and reusable. Learn more about bad plastics in your daily life here. This product is lab tested and approved for human ingestion or for topical uses as directed by your Physician. Taken orally as a herbal immune system support booster or as a nutritional supplement. Safe and approved for daily use. 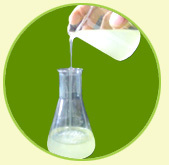 Some products can be used topically for antiseptic sprays, Band-Aids and even for use as additives to face/eye creams as a natural collagen builder, skin rejuvenation liquid, please see the FDA statements regarding 'topical uses of colloidal silver products' for more about that minerals particular topical uses. As directed by your Vet, our HydroMinerals™ Colloidal products help support Animals too. Got a Green Thumb? Our Hydro Colloidal Products help to 'reenergize' and keep cut flowers (including Roses) 'alive' for many days longer than regular water. For lawns, our Hydro Colloidal Products can bring back dead grass spots in days, not just weeks. It is really like 'Nature's Energy' energy in a bottle! Safe for Adults ages 12 and up. Use 1 tablespoon to start with empty stomach, use swish 15 second in mouth for best absorption, prior to swallowing rule. Product may taste 'stale or metallic', this is normal. Organix Technologies was one of the companies chosen in November 2009 by the EPA's sub contracted research branch to study certain types of Colloidal Silver currently being produced on the market today. Because of our participation & support for the upcoming EPA regulations, we have a better idea of what the new regulations over colloidal silver containing products will be. Currently, all of our Hydro Colloidal Products are conservatively rated well below any current EPA toxicity or FDA minimum guidelines. Our Hydro Colloidal Products have all been independently tested for safe, long-term use when used as directed. None of our Hydro Colloidal Products contain any of the older style ionic large particles, which when improperly produced can cause damaging build up of heavy metal in skin tissues, called Argyria. 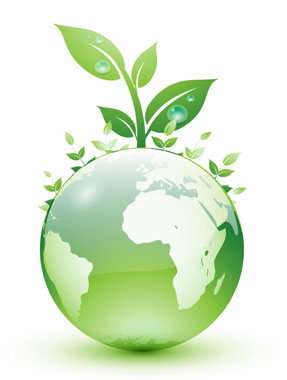 We have formulated our products with the corrected strength and because of this fact, our products have been proven not to affect any waste water or septic tank systems making our new Hydro Colloidal Products very ECO-FRIENDLY to use every day. This product contains HydroPhasic structured oxygenated water and.9999 or better (assay certified) ultra pure, Nanoscopic charged minerals in hyper magnetically rotating charged electrical field. This product is the TRUE and REAL NanoScopic Colloidal product and the charge and bio-availability stays useful for many years of use. *Currently lab tested for full efficiency for over 36 months in current packaging. Our custom brewed Hydro Arc-Silver is made with our vacuum sealed, magnetically energized chamber we call our HydroPhasic process, by using pure .9999 or better NanoScopic silver particles in a structured water base. This product is over three times as powerful as our regular Hydro Silver products. This product should only be used as directed or prescribed by your Physician. Users who wish to regularly use this product should also be taking a supplementary dose of Pro-Biotic, or eating Yogurt products along with taking this product. Just like our wonderfully powerful Silver, this product is a two-punch system to support the relief of systems caused by Cold & Flu. This product has been shown effective by our family, office staff to significantly reduce our own cold & flu season. Also lessons the amount of severity. For instance, of those folks in our office that immediately went on HydroSilver-Zinc combo as soon as they felt sick, over those who went out sick and we couldn't get any HydroSilver-Zinc to them, the employees who used HydroSilver-Zinc product came back to work feeling better by as much as two to three days before those employees who didn't use HydroSilver-Zinc combo. This product is made up of literally millions of beautifully charged 24 k NanoScopic particle of Gold, suspended in a oxygenated and magnetically charged water base. This product is charged with 'Polar North' magnetic emphasis, however, we can custom charge a batch to 'Polar South' for those who want the subtle change imprinted on the batch. Given the therapeutic use of gold for centuries, this "elixir" started being used in ever more extensive parts of the world. For instance, from Britain, it got to North America where it was used to treat alcohol, coffee and even nicotine addiction in the middle of the 19th century. Furthermore, colloidal gold was considered to have amazing healing properties for heart disease, improving blood flow. 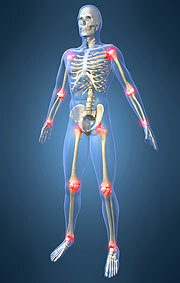 Moreover, colloidal gold has remained an efficient remedy in the fight against arthritis even to this day. 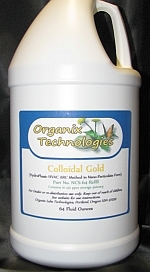 Colloidal gold supports the body condition for chronic patients that are confronted with pain and discomfort. Studies even show that people who used colloidal gold for pain alleviation didn't feel the need to turn to opiates for relief. Modern therapists prescribe colloidal gold for lots of health conditions considered to be generated by the over-polluted world we live in. Besides the non-toxic properties, gold stimulates cellular metabolism and prevents the accumulation of harmful body wastes in the brain, liver, heart, kidneys or lungs. In anxiety treatment, colloidal gold reduces nervous pressure and improves the body-mind coordination by inducing a state of well-being. People undergoing a colloidal gold treatment claim to have noticed increased levels of energy and improved libido. Nevertheless, one of the most impressive advantages of colloidal gold is the action it has on particular emotional conditions. HydroGold helps support the bodies own waste systems by allowing it to detoxify much faster and in a more holistic way.